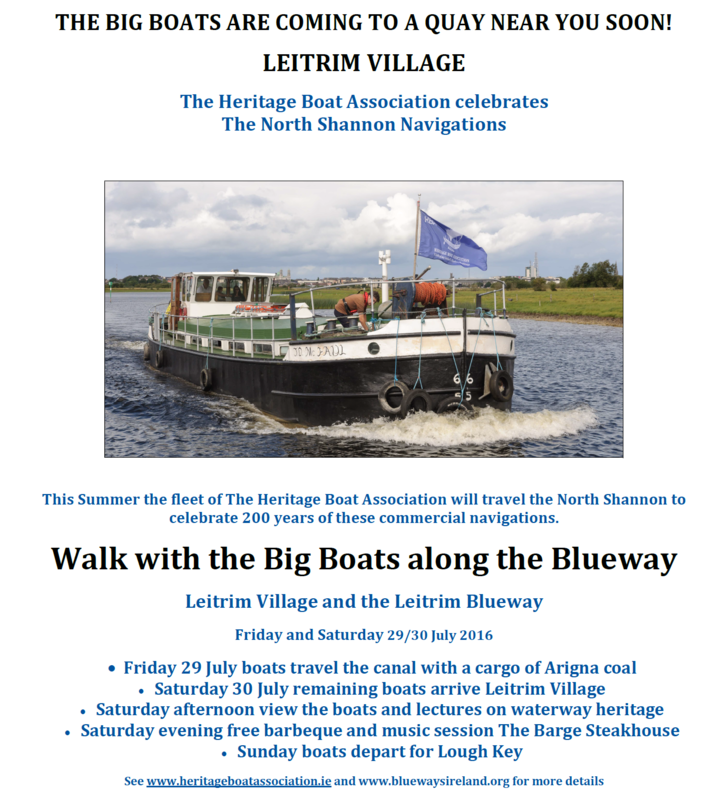 The Shannon Blueway walk with the Big Boats starts at 10:30 at Drumshanbo on Friday 29th. Also possible to join at Drumhauver Bridge or Drumleague Lock from 11.30am. Followed on Sat 30th by a BBQ and an evening of music at the Barge Steakhouse in Leitrim Village. All welcome.